Have you ever wondered how the universe began? 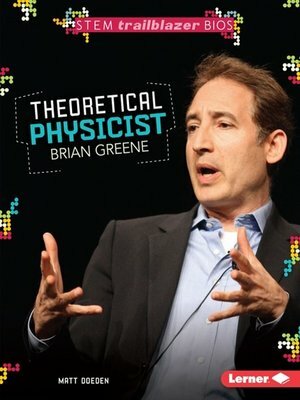 Growing up, Brian Greene's father taught him to think about the world in different ways. Greene was curious about how it all worked. He set out to find answers to big science questions. At Harvard University, Greene studied physics and was named a Rhodes Scholar, an honor only the most gifted students receive. He was fascinated by the new theories explaining the universe, but he wanted to share his fascination with everyone, not just with fellow scientists. He started writing books and offering free lectures to help ordinary people understand complex ideas. Soon, he was even appearing on TV. Follow Greene's path from curious kid to celebrity scientist.